Last weeks fitness challenge was basically a continuation of weekly challenge no.2 except I completed the push-ups as three sets of thirty and one set of ten, instead of five sets of twenty. I still aimed to complete the Happy Body Exercise program on three alternating days out of seven. 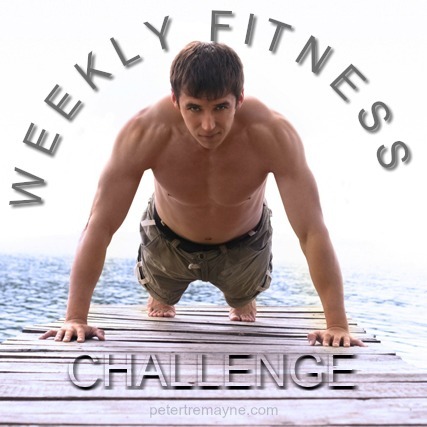 For this weekly challenge I want to incorporate a full body workout for 3 days. As I’m into my push-ups right now, I will complete 100 push-ups and 2 minutes plank on the other days. Any other form of exercise, such as running or gardening (a lot harder than people give credit for!) will be a bonus. It’s been exactly a week since I started the first, of my weekly challenges – 100 push ups and 90 seconds plank per day. My aim was to complete 5 sets of 20 push ups each day, combined with 90 seconds of plank. How did I get on?..